It was once said that if you love someone, let them go, and if they come back thats how you'll know. This was certainly true for Stefanie and Larry, a couple whose wedding we filmed a little over a year ago. Their wedding was recently featured in The Knot Pennsylvania. From their high school prom to their wedding at Pomme, their love story was just as beautiful as their big day, and we caught it all on film in a love story video. The wedding ceremony and reception was held at Pomme, a secluded woodland mansion in Radnor, Pennsylvania. Their wedding drew inspiration from many of the family's vacations (where thankfully, according to their love story video, nobody forgot their boarding passes). 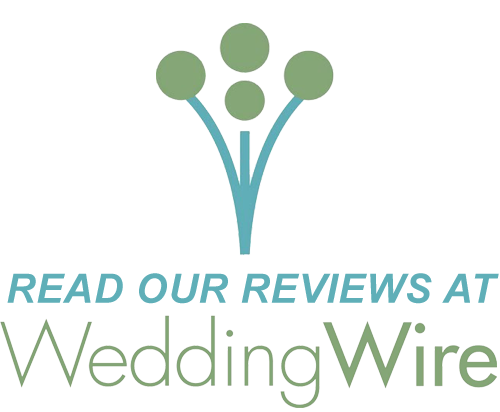 The trendy rustic, wine country theme came from their trips to Napa Valley and Sonoma, California and Tuscany. They featured deep colors such as lavender, green, and red... right down to the Vera Wang wedding dress. "We wanted it to feel natural and fresh without being overly rustic," Stefanie said. The ceremony took place on the lawn, under the chuppah draped with flowers. 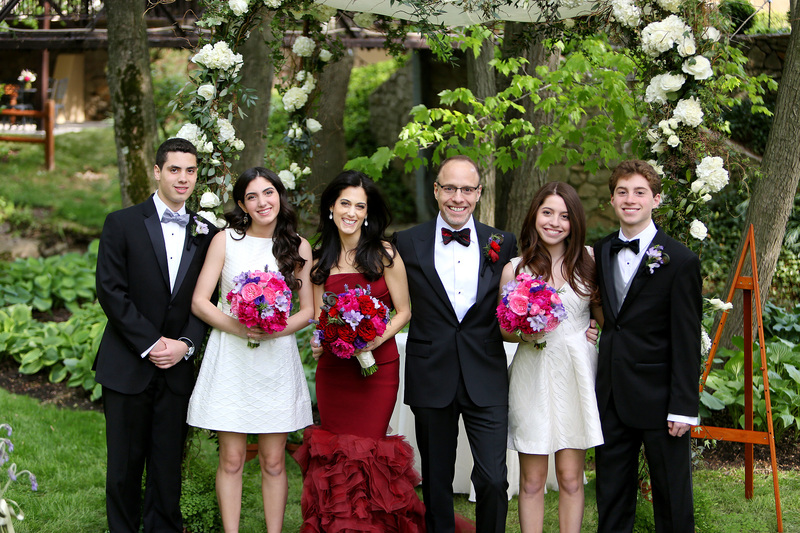 Both Stefanie and Larry's children walked their parents down the aisle and served as their attendants, completing the theme of celebrating family. The reception was decorated with soft orange lighting, large wooden farm tables, and all the fragrant flowers you can imagine. Stefanie and Larry along with their family and friends ate, laughed, and danced the night away. The perfect ending to a perfect day. More of the setting, decorations, and all the other details that brought their dream wedding to life can be seen in their trailer below.